Research by scientists at the Agricultural Research Service (ARS) and the University of Maryland released today sheds new light — and reverses decades of scientific dogma — regarding a honey bee pest (Varroa destructor) that is considered the greatest single driver of the global honey bee colony losses. Managed honey bee colonies add at least $15 billion to the value of U.S. agriculture each year through increased yields and superior quality harvests. The microscopy images are part of a major study showing that the Varroa mite (Varroa destructor) feeds on the honey bee’s fat body tissue (an organ similar to the human liver) rather than on its “blood,” (or hemolymph). This discovery holds broad implications for controlling the pest in honey bee colonies. The study was published online Jan. 15, 2019, and in today’s print edition of the Proceedings of the National Academy of Sciences. An image produced by the ARS Electron and Confocal Microscopy Unit in Beltsville, Maryland is on the cover of today’s journal. Varroa mites have been widely thought to feed on the hemolymph, of honey bees (Apis mellifera) because of studies conducted in the 1970s which used outdated technology. But today’s collaborative study, by University of Maryland and ARS researchers at the ARS Electron and Confocal Microscopy Unit, offers proof of the mite’s true feeding behavior. 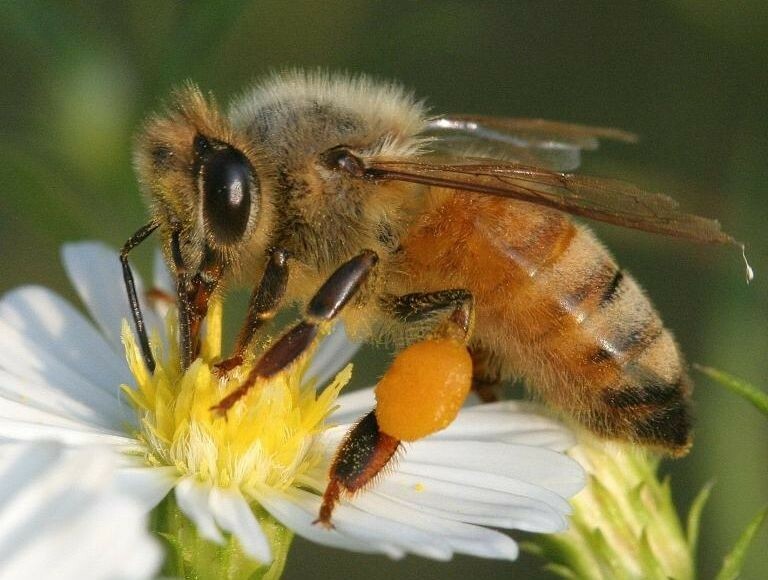 Through the use of electron microscopy, the researchers were able to locate feeding wounds on the bee caused by the mites, which were located directly above the bee’s fat body tissue. The images represent the first direct evidence that Varroa mites feed on adult bees, not just the larvae and pupae.